Microsoft’s recent marketing efforts have focused on how Chromebooks are not real laptops because they don’t have Windows or Office, how they are supposedly useless when offline, and how they just make it easier for Google to capture your personal information. The software giant says you are basically getting “Scroogled” when buying one of these but, if anything, the bashing suggest it sees the web-centric OS as a threat. And rightly so. Speaking at a technology conference this week, Hewlett-Packard CEO Meg Whitman said she is surprised by the appeal of Chromebooks, not just in the education market but for small and mid-sized businesses as well. Even large enterprises are expressing interest. The findings, Whitman claims, validate HP’s multi-OS, multi-architecture, multi-form factor strategy and they intend to continue on that path going forward. "There are some groups [who] do not need Windows backward compatibility in their laptop," she said. Google's share of the traditional PC market is tiny and unlikely to overtake Windows for years to come. Only 2.5 million laptops powered by Google's operating system were shipped last year according to IDC, totaling about 1% of global PC sales. But the mere fact that Chromebooks are one of the fastest growing segments in an otherwise stagnant market is reason enough for Microsoft to worry. 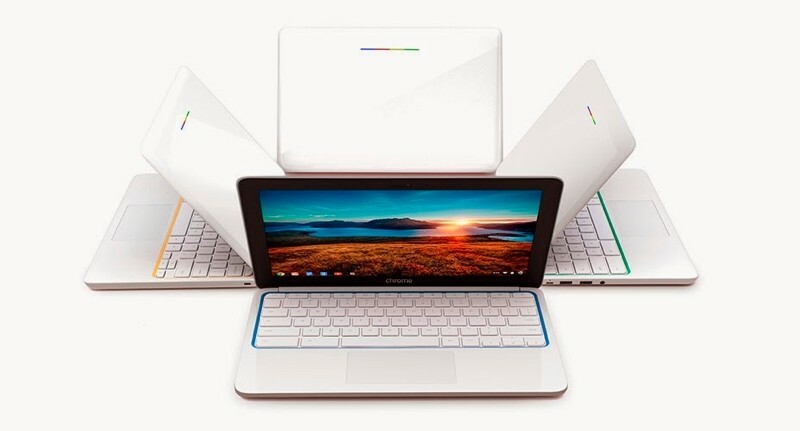 Not only do they threaten its business on a few different levels -- from its Office cash cow to online advertising -- pretty much all of Microsoft's biggest hardware partners have jumped on the Chromebook bandwagon, a sign that they might be slowly moving away from a years-long dependence on Redmond’s software. Windows still dominates the PC market with a ~90% share of the OS install base, and there are some segments that aren’t going anywhere anytime soon -- enthusiasts and PC gamers, for instance. But Microsoft might have a hard time retaining casual users who ‘live’ on the web and now have access to a range of supplementary devices like smartphones and tablets. Windows 8 certainly hasn’t done much to pep up interest on the platform.